The town of Calitzdorp offers visitors a host of attractions, outdoor activities, wines and port wines to make your visit truly memorable. Here are a few of our personal recommendations for you to enjoy. Dam and River Canoeing with Kevin from Karooicus. Incorporate with a hike, a picnic and an informative narrative of the indigenous fauna and flora. These hikes can be tailored to your specific requirements. Group tours also available. Gamka River Safari Co. is a small, exclusive owner run operation that caters for the discerning Safari Traveler and equine enthusiast. Enjoy day trips, or trips that last for days, experiencing the outdoors that is the Klein Karoo. Situated between Calitzdorp and Zoar/Ladismith. From Calitzdorp to Ladismith it is but a 50km scenic drive, taking around 30 – 40minutes (one way). On route pass Zoar and Amilienstein. Breathtaking and well worth the drive. 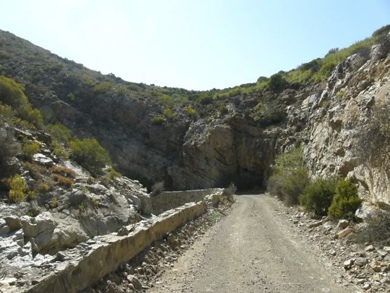 Situated 20km from Ladismith, this is a 17km stretch of gravel road running through the Swartberg Mountains, linking the Little and the Great Karoo, with easy gradients, river crossings and incredible geology. 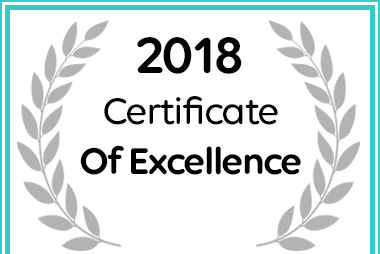 It falls entirely under the control of Cape Nature Conservation and more specifically the Swartberg Nature Reserve and is also a certified Unesco World Heritage Site. Time required with a turn around and return to Calitzdorp is around is around 3.5 Hours. 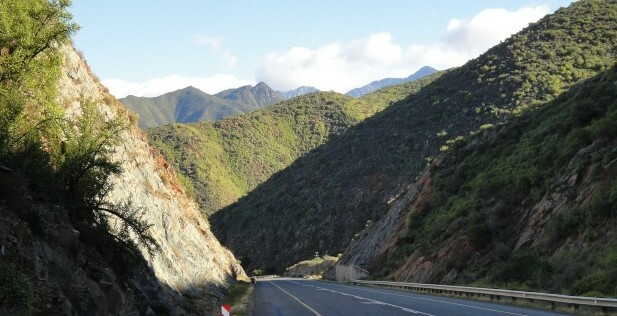 The Swartberg Pass is regarded by many as the icon of gravel road passes. 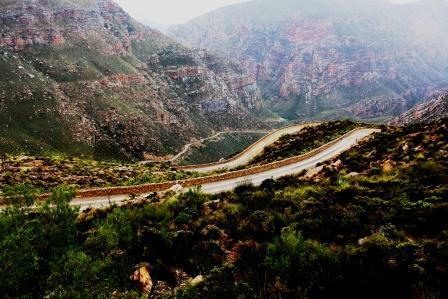 Once again a link between the Little and Great Karoo (Prince Albert), and the gateway to Gamkaskloof, this “Thomas Baine” pass is a must see and do, with dramatically changing scenery and rock formation. You don’t have to go all the way to Prince Albert, and can still get the magnificance of the pass by turning around at the summit. Your time frame may vary, but allow 60 minutes from Calitzdorp, along the Groenfontein Road to the foot of the pass, and then around 40 minutes to the summit. Your descent into Prince Albert is another 40 minutes, so all in all with a return trip to Calitzdorp you are looking at around 2H30 Minutes driving time. Situated between Calitzdorp and van Wyksdorp. From Calitzdorp to van Wyksdorp is a around a 50km drive, but taking around 70-90 minutes one way. En-route marvel at the flora and fauna, as you pass through this bio-diversity hotspot. 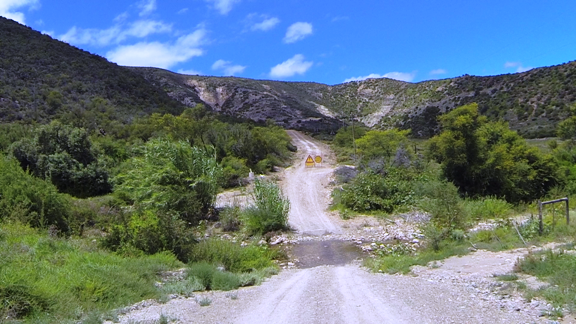 This a more rugged route, with gravel roads as you start your climb. Worth the drive, and stop in van Wyksdorp. (Please note there is no fuel in van Wyksdorp, so fill up before you go). Another glorius gravel and relatively rugged pass, dating back to 1862. The road is named after the many fossilised ticks found in the rocks when the road was built. The main road between Laingsburg and Prince Albert up till the late 1960’s when the Gamkakloof Dam was constructed in its path. making this road a dead end (so you have to turn around and return). Reached from Calitzdorp via Ladismith and Seweweekspoort, the route will take some time (plan around 5 hours there and back to Calitzdorp). From Calitzdorp, take the day out and enjoy the mild waters of the Indian Ocean in Mosselbay. A stunning modern tarred pass with gorgeous views of the Outeniqua mountains. 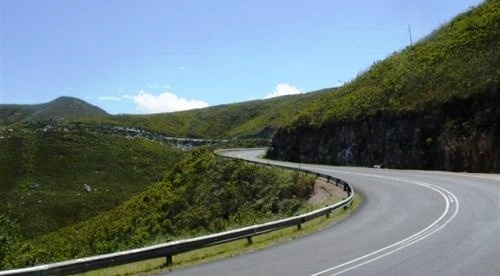 Travel via Volmoed and join in with the Oudtshoorn – Mossel;bay road (R328). Time from Calitzdorp to Mosselbay is 1H30 minutes. The Kraaldoring Gallery owned by Albie and Clementina van der Walt, is situated on the scenic Groenfontein Road just outsideCalitzdorp (11km). Although the gallery does not have regular business hours, there are regular exhibitions. Clementina and Albie can be contacted: via “whatsapp” on 0829250871 as there is no cell reception in the area. Bloemin-Meerkat (Johan & Liezel, 4 Geyser str – Next to the Handelshuis) frames, textiles, art, silk screen, custom made furniture & lamps, functional décor. Situated in Calitzdorp in Geyser Str, oppsite the museum in the old town post office. Derek is not always at hand as he is out taking photos for his next amazing work. Open on Tuesdays from 18:00 – late and on Saturdays from 12:00 to late. Special events can be organised in advance. Come and join Hynie at Route 62za Troubadour for jamming and/or a show featuring rock and roll, and all things musical. Open on Friday and Saturday evenings from 17:00 – 21:00. Limited space available so booking is essential. This is a 52km drive on dirt roads (the roads are maintained – so a standard vehicle is adequate). On leaving Calitzdorp, the drive will take you past the Calitzdorp dam, Kraaldoorn Gallery, Marcia’s Studio, Oude Postkantoor, Peter Bayley Winery, Groenfontein Guest Farm, The Retreat and on to Kruisrivier where Roger Young has a gallery and coffee shop. From Kruis Rivier, you can either head off toward Oudshoorn and the start of the Swartberg Pass, or back toward Calitzdorp. This a scenic route with spectacular scenery, if just looking and driving with no stops, this should take around 90min until back on the R62. From here its 20minutes back to Calitzdorp and 20 minutes to Oudshoorn.